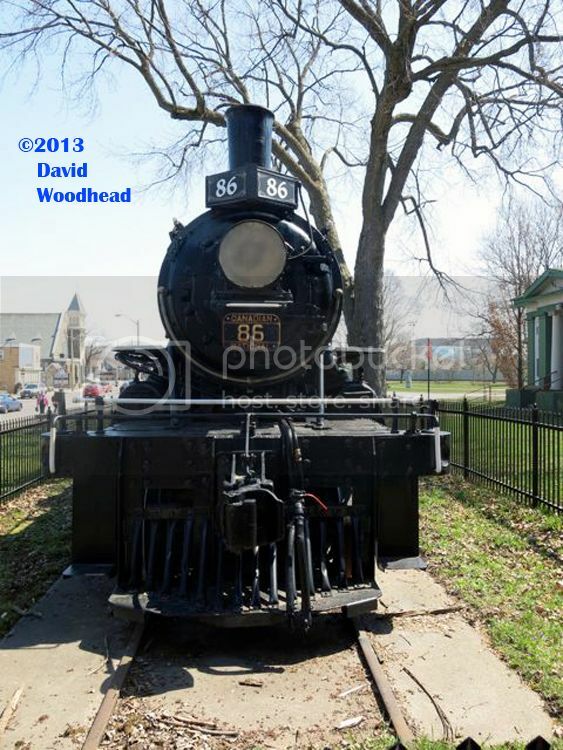 My friend and fellow hobbyist David Woodhead was playing a concert in London, Ontario last week and he returned home with a treat for me: Several photos of CNR Mogul 86, which is stuffed and mounted in a park near Dundas and Ontario Streets in the city. This is the locomotive that Simon Parent used as the basis for his excellent S scale model, and 86 is one of the three Moguls that I run on my layout. 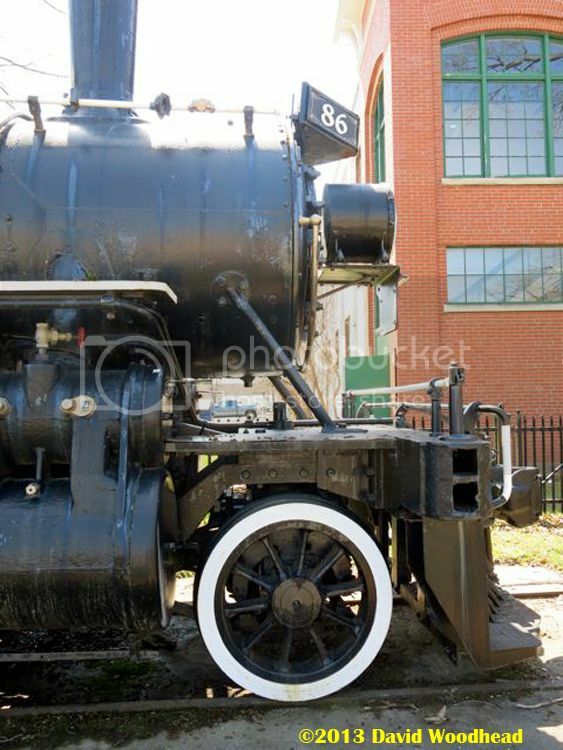 So it’s really neat to see that it survives in a fairly decent, albeit cosmetic, restoration. 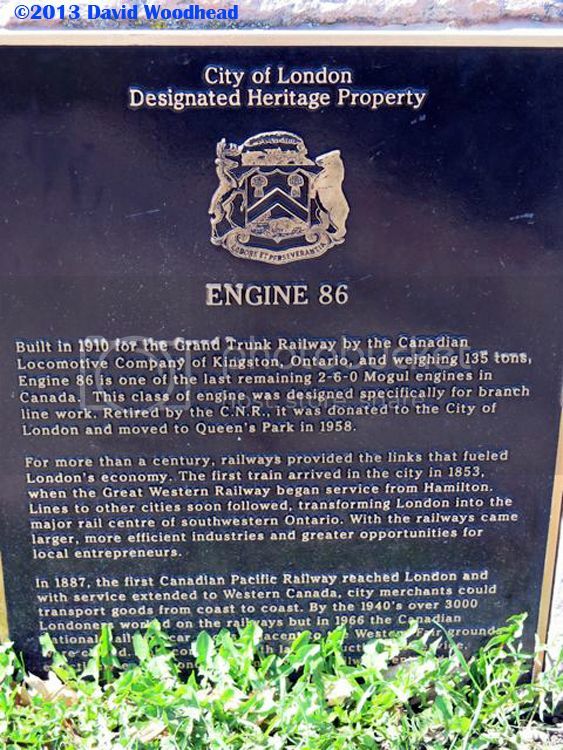 For more on the locomotive and its presence in London, visit the London Public Library. Thanks for the photos, David – and for permission to share them here! Thanks Mike! 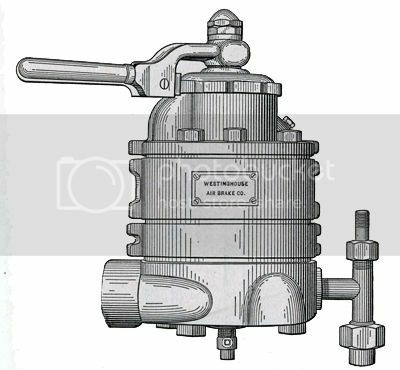 I’m sure many other modellers will find this useful, too – regardless of whether they model the CNR! Someone recently asked me about how tobacco kilns were loaded. The process can be seen in the National Film Board movie The Back-breaking Leaf that I recently shared on this blog, but here are a couple of vintage postcard pictures that also show how it’s done. 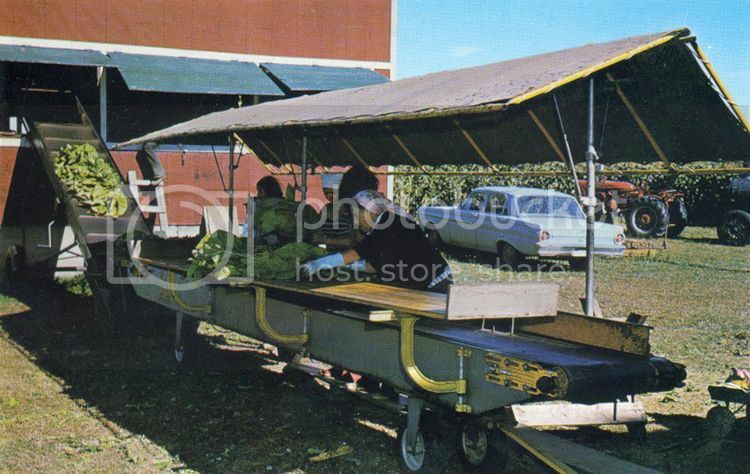 As they show, workers tie tobacco leaves onto sticks and then load the sticks onto a portable conveyor at the tying station. The conveyor carries the sticks of tobacco up through the large shutters – held open with a rope tied through a piece of hardware under the eaves. Inside, workers will grab the sticks and suspend them in rows across the kiln. 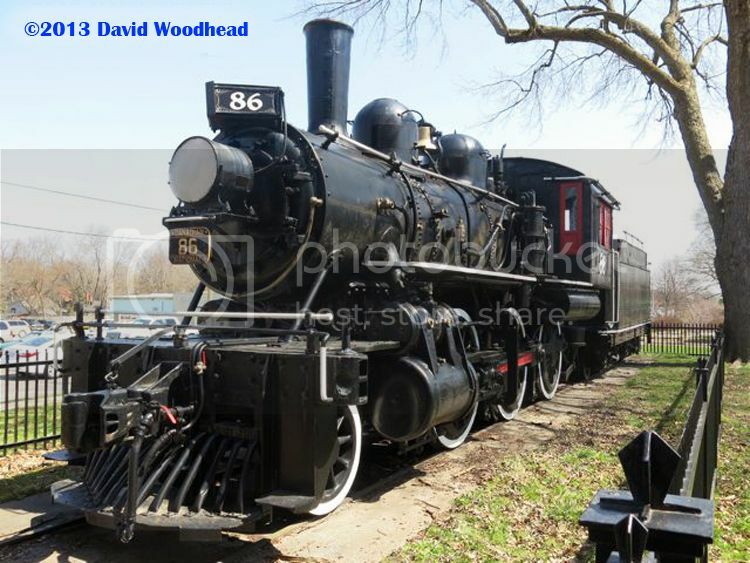 Terry Pond sent along a link to a three-minute YouTube slide show showcasing trains in Norfolk County. There are many images of Simcoe and Port Dover, but also a couple of Port Rowan and at least one spotting of the tank in the Lynn Valley. 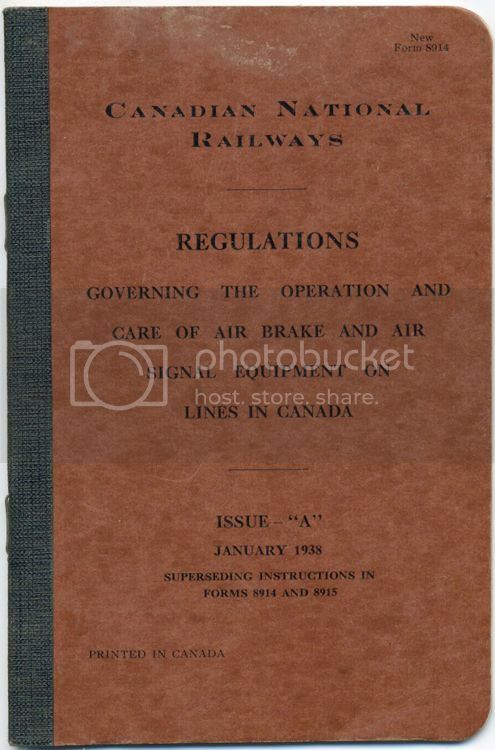 Thanks to regular reader Steve Lucas, who – in response to my postings about brake tests and a model air test guide – sent me a spare copy of a 1938 book outlining the Canadian National Railway’s regulations governing air brakes and air signal equipment. This 23-page booklet includes several sections on Terminal Brake Test and Road Brake Test procedures for passenger, mixed and freight train operation. I look forward to reading it, and determining whether there’s any room to improve my simulated testing procedures on the layout. Thanks for this, Steve – great info! 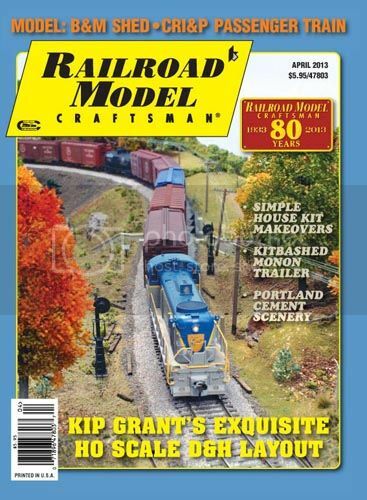 My copy of the April, 2013 issue of Railroad Model Craftsman magazine arrived yesterday and I highly recommend it for the cover story on the Delaware & Hudson Sonnyvale Branch, a 13×19 foot HO scale layout built by Kip Grant. 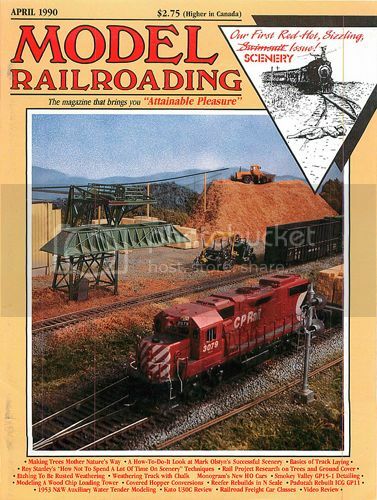 The layout is very well done, but what I really enjoyed about the article is the focus on how a pair of retired D&H railroaders – Bill Frazier and Jim Lafayette – have helped to breathe authenticity into Kip’s layout. There are a lot of great insights in this article about how the pros work a branch line – ideas that can be adopted to any layout, including mine. Kip: Great layout and article – thanks for sharing it. And RMC: Well done – let’s have more like this! I had a delightful afternoon yesterday, with three friends dropping in for a visit to the pub (can you guess which one?) and an operating session on the layout. Keith Stamper and Dave Burroughs joined me for burgers and pints on a brisk but sunny Sunday. Then David Woodhead – a friend of all three of us, who lives in my neighbourhood – popped in to visit. 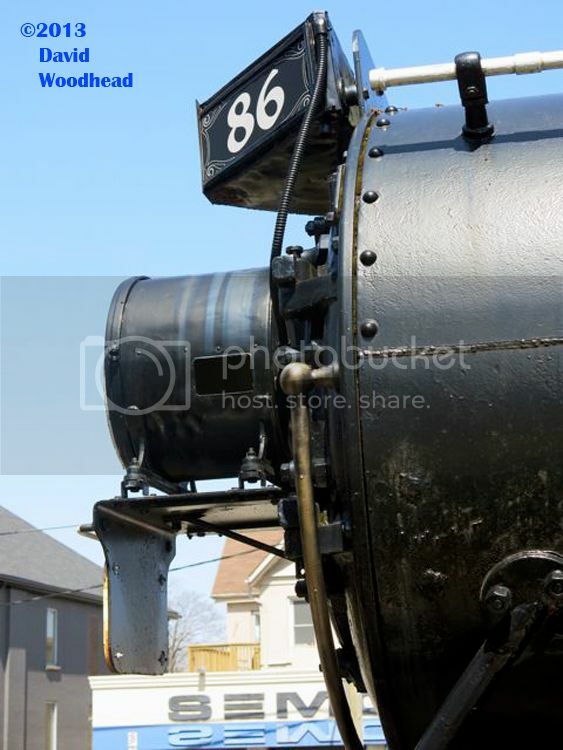 We ran a freight extra to Port Rowan and back, behind Mogul 80. It was the first time that Keith and Dave have worked my layout, so the pace was even more relaxed than usual as I explained the various ins-and-outs of working the branch. Keith took on the conductor’s role, while Dave B ran the locomotive. All three are fans of narrow gauge: Dave and David work in On3, while Keith was working in On3 when I first met him, but has since switched to Sn3. That said, my standard gauge empire operates at a narrow gauge pace and my guests seemed quite taken by the little CNR teakettles. A grand time was had by all. Thanks for coming over, guys: I look forward to having you back again – soon! 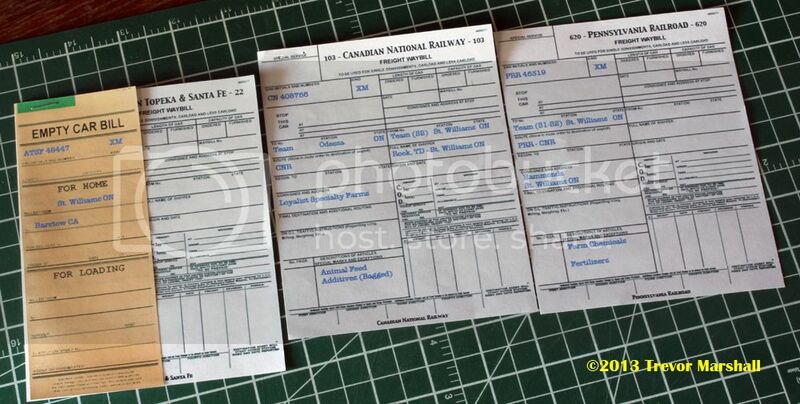 When I work a train on my layout (or anybody else’s layout for that matter), I like to use a switch list – even if car forwarding is managed by a waybill system such as car cards. I think car cards and waybills are very flexible – more flexible than switch lists – for managing the flow of traffic on a layout. And I do use waybills to determine what car needs to go where. But once I know what work needs to be done, I think switch lists are an elegant way to manage it. 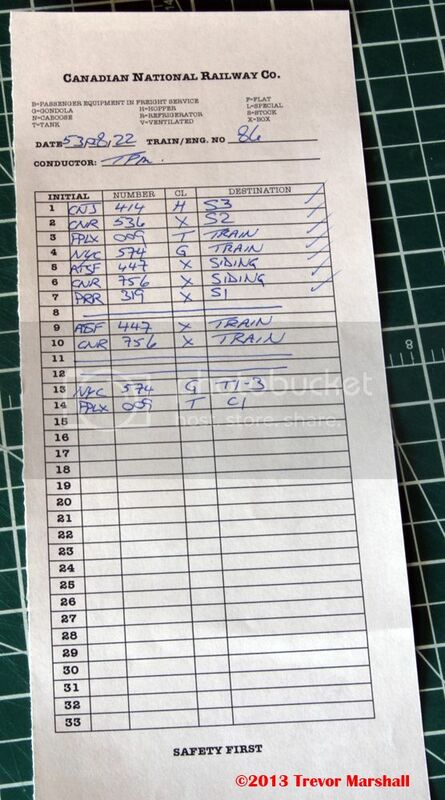 As an amateur conductor I find that writing out a switch list allows me to organize my thoughts before I pick up the uncoupling tool and start issuing orders to my engineer. As a result, we do our switching more efficiently – and I don’t get lost in the middle of a job, trying to remember my overall plan for the work. 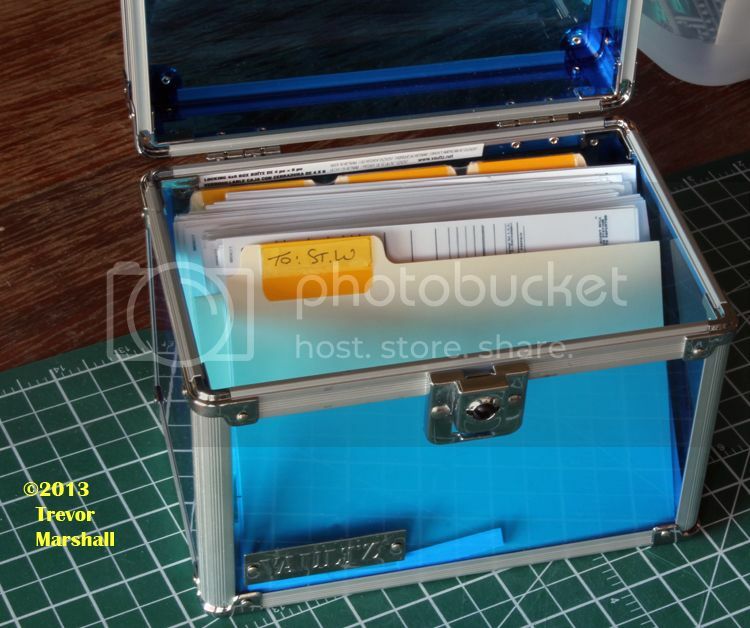 In addition, a switch list allows me to treat my waybills as the accounting documents that they are on the prototype – keeping them safely tucked away in a waybill box or in the caboose. That contributes to my goal of representing the real work that a crew would have performed on the branch I model. 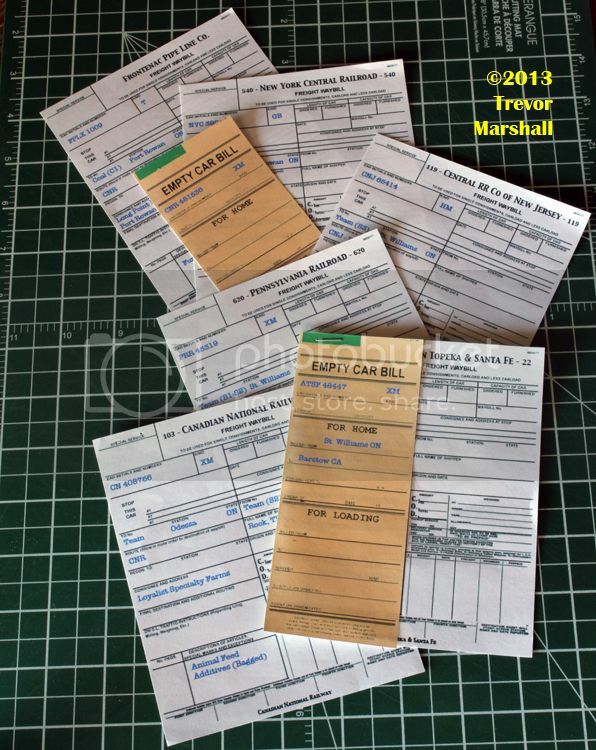 But after hosting several operating sessions, I realize that using switch lists is not intuitive when one starts with a stack of waybills – either of the car card variety, or of the prototype style I use. So, here’s an explanation of how I organize the switching work on my layout. 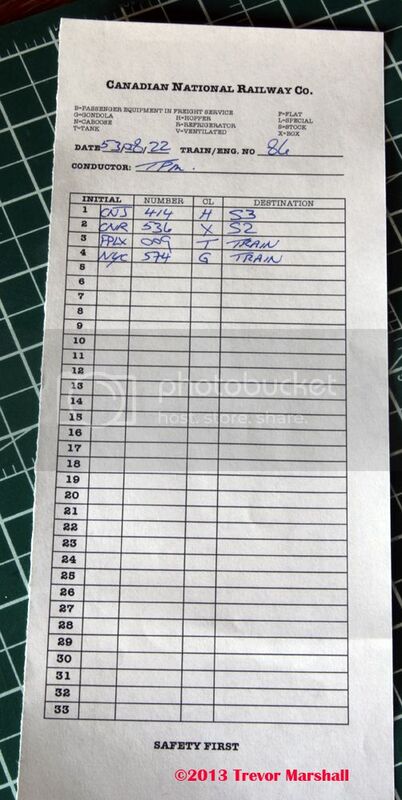 In addition, I have a labelled divider for each locomotive on the layout. There are labelled dividers for 80, 86, 908, 1532 and 1560. This allows me to compile the waybills for each train in staging. Note that it doesn’t matter whether the train is running as an extra freight or as the Mixed Train (M233 out of staging): The waybills are organized by locomotive number. 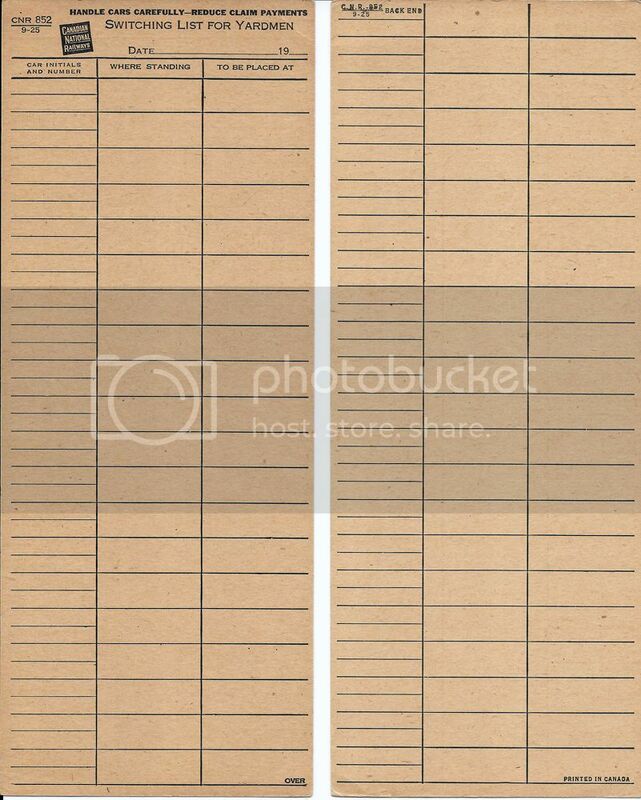 When it’s time to run a train, I pull the waybills from the appropriate locomotive divider and put them on a small clipboard – representing the Conductor’s Desk on the caboose. I also grab a blank switch list. I’ve written down the four cars, in the order they appear in the train. The switch list has space for reporting marks – Initial and Number. Note I’ve only written in the last three digits of the road number. That’s usually sufficient to tell one car from another, and it saves a bit of writing. “CL” is for “Class”, and the symbols – H for hopper, X for boxcar, T for tank car and G for gondola – help identify the type of car. A list of car classes and appropriate symbols is included at the top of the switch list for handy reference. The last column is “Destination”. This is simply where the car should end up after the switching is completed. 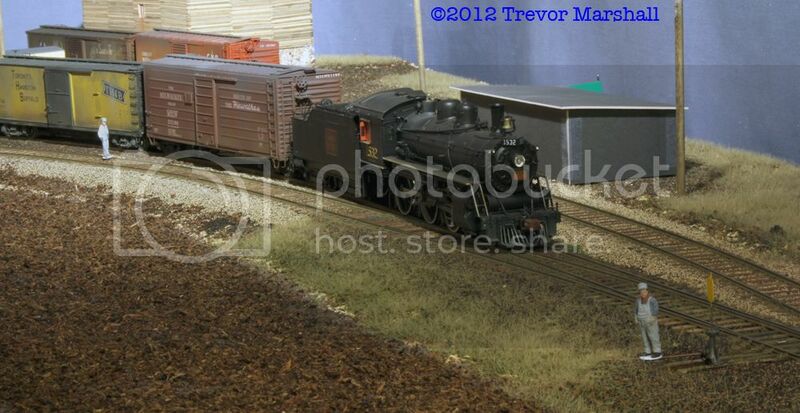 As the photo shows, the CNJ hopper will be spotted at S3 while the CNR boxcar will be spotted at S2. 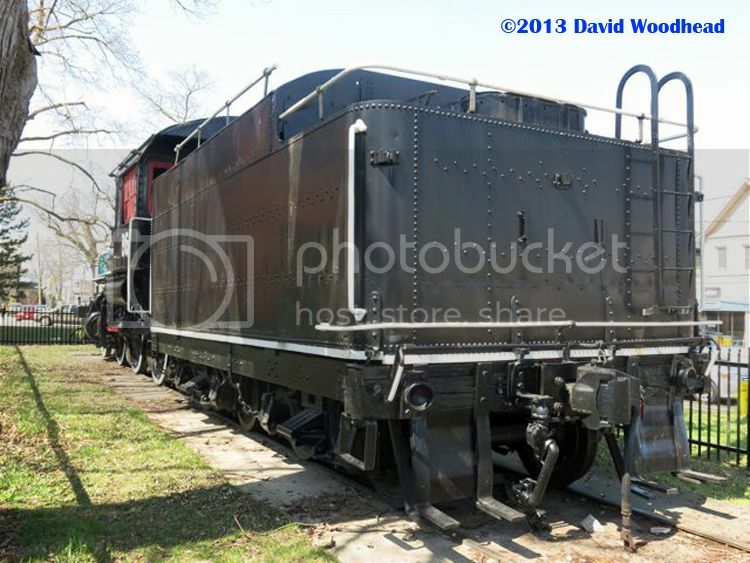 The tank car and gondola will remain in the train. 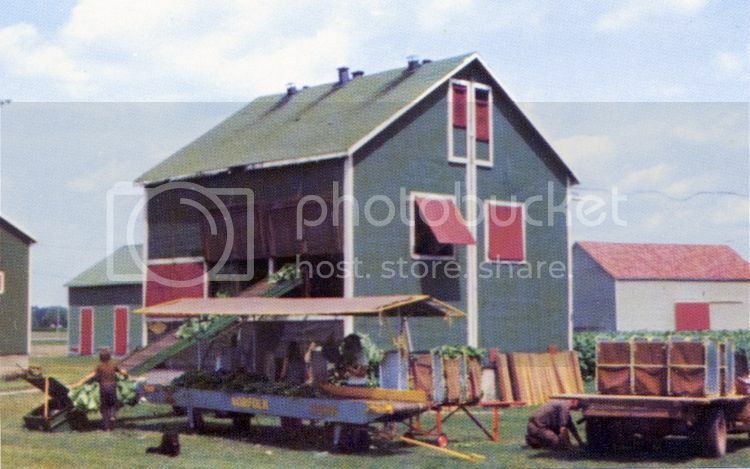 – PRR 45319: A boxcar that was delivered to the team track on a previous day, and is not yet ready to collect. Note that I don’t care where the cars are now – only where they should be when the switching is done. Under the first list I have drawn a line then written in two more moves – for the ATSF and CNR boxcars that we will lift from St. Williams. Their destination is “Train” – a reminder that we have to pick these up on the return trip. I’ve drawn another line below these two cars, and now I’m ready to switch St. Williams. Before we start the work, I would return to the depot and deposit the waybills for any cars that are staying in St. Williams – even those that we will pick up on the return trip (in case something happens en route and we don’t get to collect the cars. The waybills always stay with the cars). I will have just two waybills in my caboose (my clipboard) at this point: for the two cars headed to Port Rowan. Also note that I’ve drawn a double line under the St. Williams work and have written up the two cars to be set off in Port Rowan. I did this while my engineer conducted the brake test, giving us a head start on the work to do at Port Rowan. Upon arrival there, we would stop at the depot, I would collect the waybills for all cars in Port Rowan, and add them to the switch list – just as I did at St. Williams. – There are white waybills for loads to be lifted. 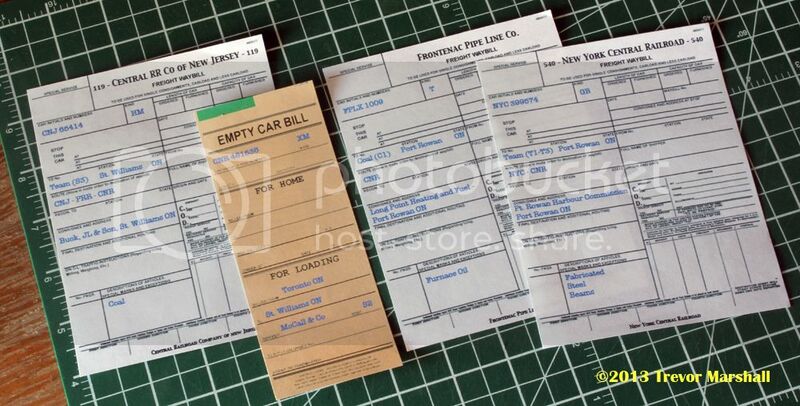 – There are yellow empty car bills by themselves, for empty cars being delivered for loading. – There are yellow empty car bills, stapled to a waybill for empty cars headed for home. As a conductor, the switch list puts all of the information I need in one place, where I can see it at a glance. It also allows me to filter out the information I don’t need to know in order to do the work, such as whether a car is loaded or empty. If you use waybills for car forwarding – either the popular car card variety or something more prototypical, such as I use – and you don’t currently write up your own switch lists, I encourage you to give it a try. It really does make a difference – in so many ways! I wouldn’t consider what I do a talent. Scenery is not that hard – especially not with the great materials available on the market today. With the exception of a few trees that I’ve done by twisting wire armatures, everything else on the layout is used pretty much out of the box, or assembled as the manufacturer intended it. The weeds, for instance, are all ready-to-plant items from Silflor. 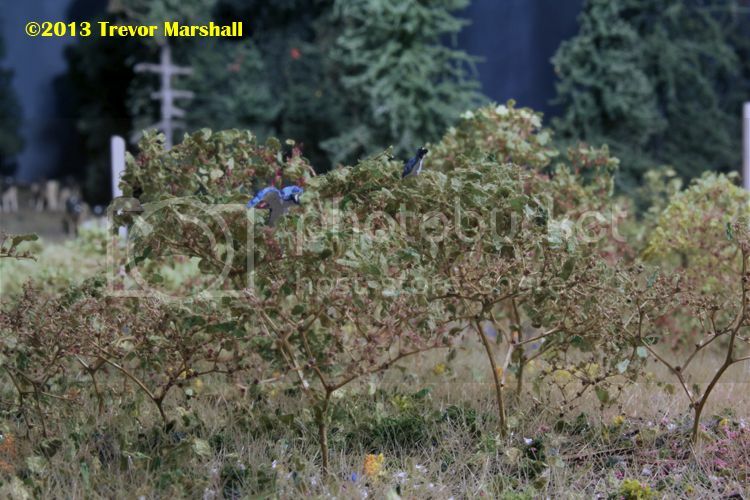 And the bushes are made from Super Tree armature material, dusted with spray adhesive and finished with Selkirk Scenery leaf material. – 20 bushes might be convincing – but 120 bushes is definitely convincing. – There are more than 2,000 stalks in my cornfield in St. Williams, which is why it looks like a cornfield and not like a corn display at an agricultural museum. – There are more than 500 plants in my tobacco field in St. Williams – with another 250 or so planned next to the kilns. Beyond commitment, patience is required. 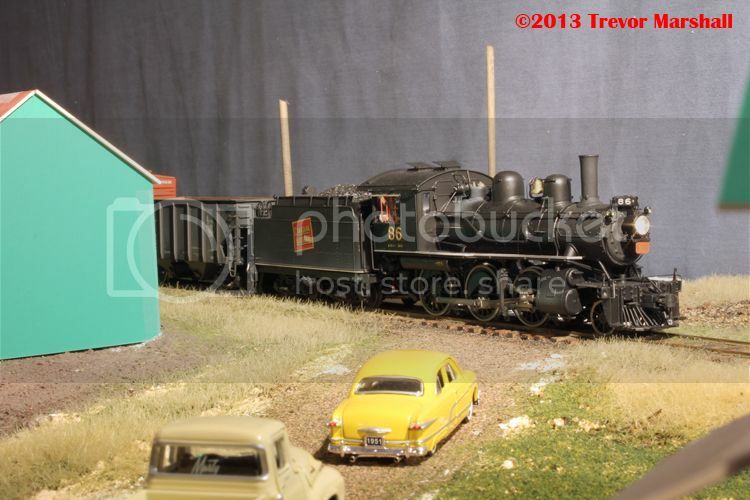 It takes time to add weeds, bushes, corn stalks, tobacco plants, and other scenic elements to a layout. So put on the radio or your iPod, set up your scenery-building tools and be prepared to work on it for a few hours. It’s time better spent than the five minutes to unbox a new locomotive – and definitely worth it. 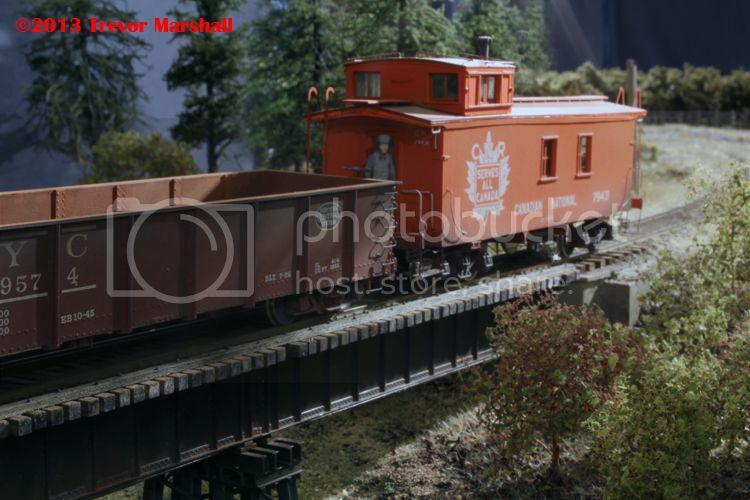 One of the layouts that inspired me – although I’ve never seen it in person – is the HO scale Erie Railroad built by Ron King. But this was not actually the article that spoke to me about scenery. 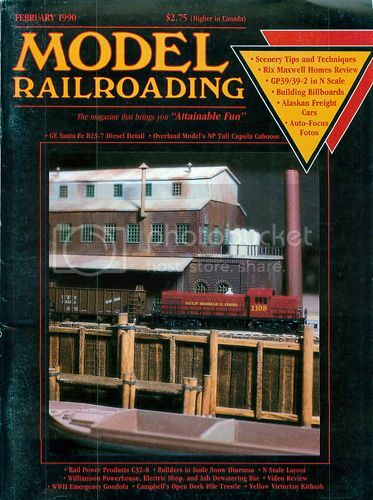 Rather, it was an earlier series by Ron and Ken Osen in the February, March and April issues of Model Railroading magazine that showcased what was, at the time, a pretty radical departure from ground foam and lichen. 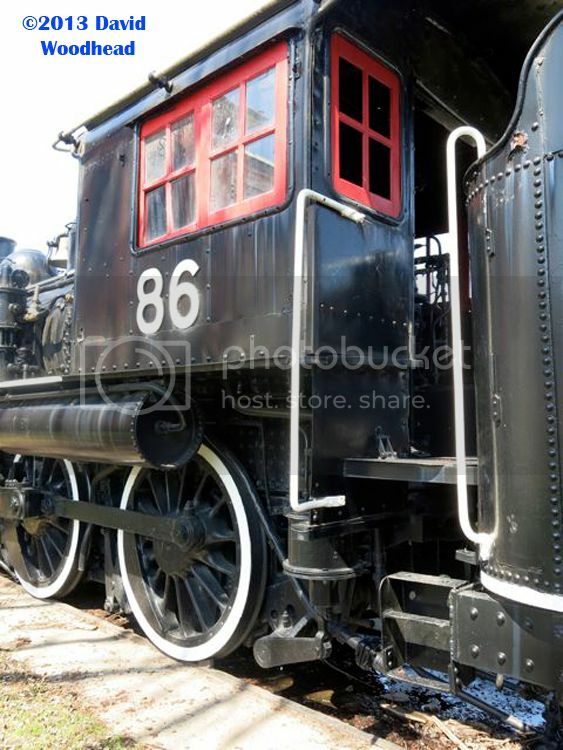 Again, click on the covers to read the articles on Trainlife. 1 – The use of colour. Granted, the layout is set in the US northeast in the fall, so colour is a given. 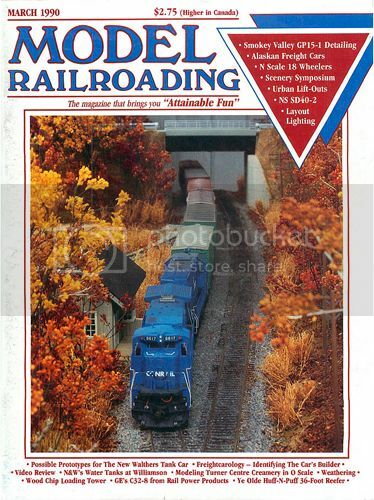 But autumn-themed layouts were not common in 1990. 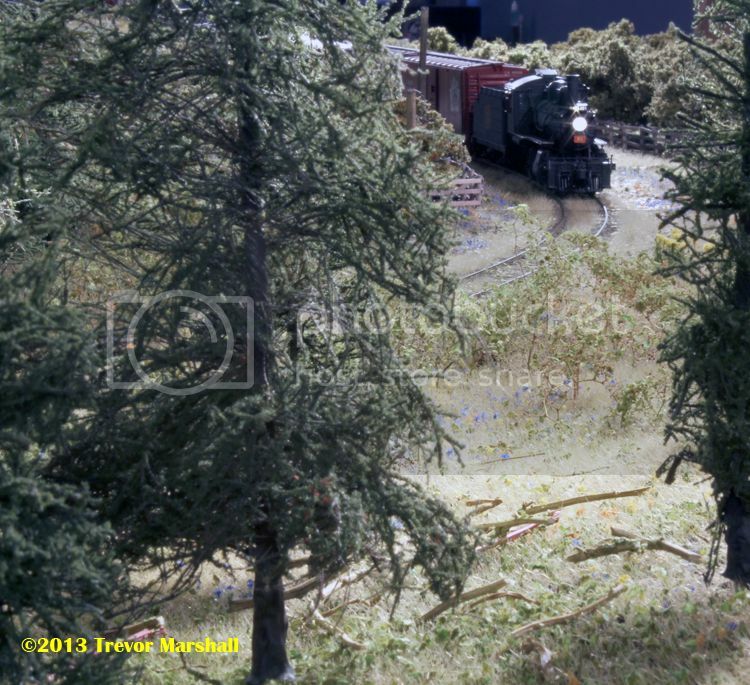 I remember a few in magazines, but for the most part anybody who had scenery modelled a non-specific green season. 2 – The density, height, footprint and shape of the scenery. Mass plantings of tall, skinny trees look a whole lot better than a scattering of trees that barely reach the top of the trains, and seem arranged as if in a park setting. There are places for that on a layout – a park, for example, or my apple orchards – but left to her own devices Mother Nature competes for space and sunlight, which means lots of slender things trying to grow higher than their neighbours. Also, note the use of tall grasses and bushes along roadways – more effective, I think, than ground foam and why my favourite scenery tool is my static grass applicator. And finally, the contours of the terrain are realistic – no mile-long retaining walls (although there was some of that on the layout originally, as some photos in the articles show) or impossibly steep slopes. 3 – The depth of the scenes. Shelf layouts are great for packing a lot of railroad into a narrow space, but it’s difficult to create dramatic scenes on such slices of the scaled-down world. I think shelf layouts are great and I’ve built a few myself. At just 24″ deep, my station scene at St. Williams represents a shelf layout. But my Port Rowan scene – at 42″ deep – is more impressive. So, if possible, I try to design/build layouts with some depth (while still keeping all track within easy reach of the aisle). 4 – The breathing space allowed in the scenes, and the space devoted to the non-railroad things that surround the railroad. 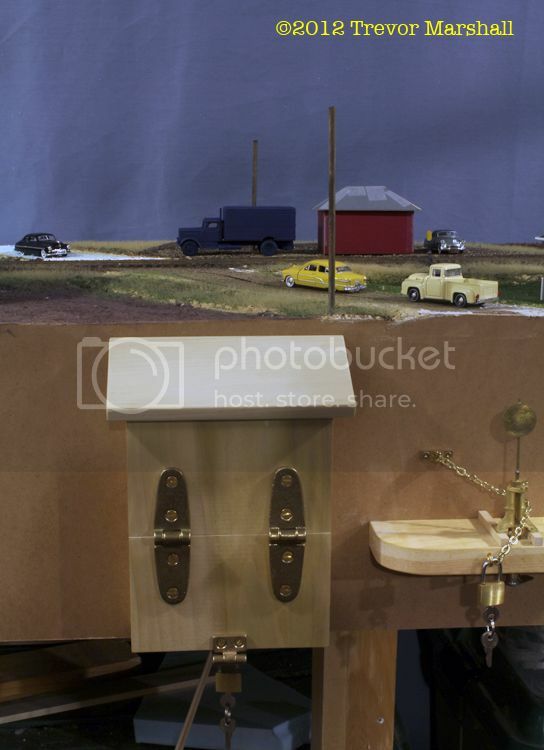 This part of the layout features a partially-concealed turnback curve, and the space inside the curve was put to good use with scenes, such as the road to the station that passes under trees, that draw the viewer into the scene. Again, not everybody has the space to do such scenes, but I think they deliver big payoff if one can include them. Today’s layout design thinking embraces – or at least is aware of – a lot of this thinking. But it was pretty unorthodox back in 1990. 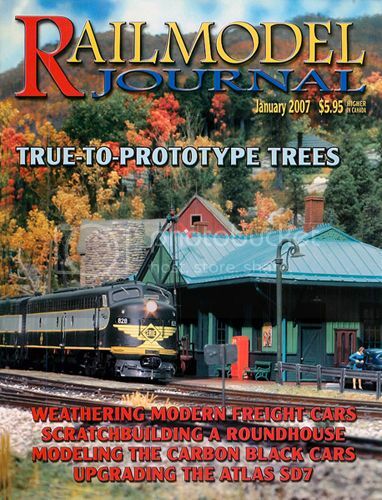 I’m glad I picked up those issues, 23 years ago… and glad TrainLife has them online today for others to read!